Enter the jungle and listen to the howls of the Spider monkeys and wildlife swinging through the trees. 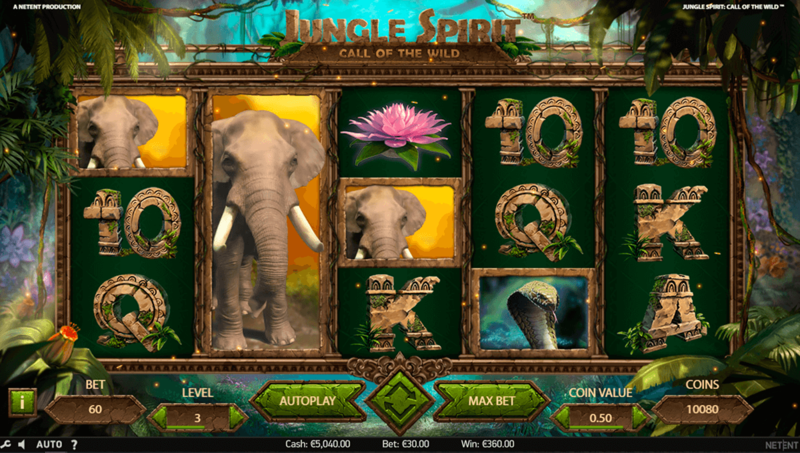 Jungle and animal themed 5 reels are hugely popular in the slots online uk market with this slot game not disappointing. Set deep in the heart of a tropical jungle, Call of the Wilds game board is hung from vines and features grizzly bears, wise tigers, and hissing pythons. Be sure to spin the wheel on this 5 reel and earn yourself a huge amount of cash. Learn more how to pay by mobile. Game developer NetEnt has been a leading provider for premium gaming solutions for over 20 years to some of the world’s most popular online casino operators. The team at NetEnt are a bunch of talented and experienced individuals that take pride in delivering the best gaming experience possible to their gamers. NetEnt has passed some terrific milestones in it’s history and has continues to dominate the online casino industry. You can find out more about NetEnt here. 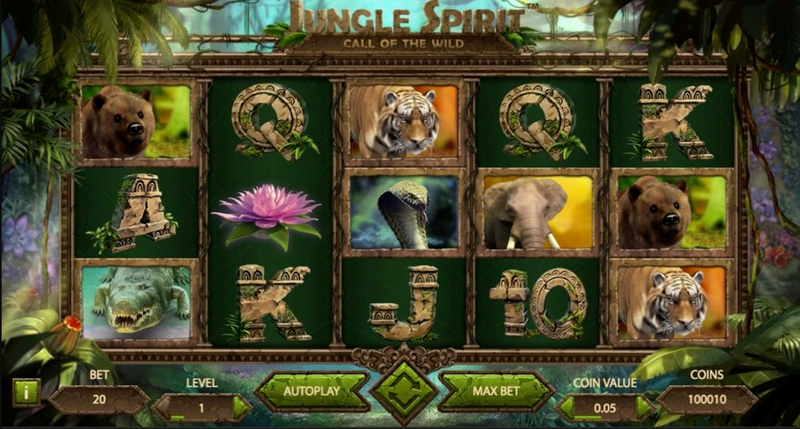 Travel deep into the jungle with 243 bet way 5-reel slot game Jungle Spirit: Call of the Wild. The game offers some spectacular features including free spins, symbol expansion features, and a butterfly boost feature. The game is playable form all devices from only 20p per spin. The symbols on the reels are low value cards A, K, Q, J and 10, these are covered in vines to give players the jungle feel. There are also 5 jungle animals including a tiger, cobras, crocodiles, bears and elephants. The tiger is ranked the highest and gives you 150 coins for 5 on a payline. The Symbol Expansion feature will allow each symbol part of a winning spin to expand to cover the whole reel. The Butterfly Boost feature will trigger at random and butterflies expand up to 5 symbols that are part a winning spin to give you whole reels of that symbol. Discover online gambling slots now! However, the 4 free spin tiger option can reward you massively. Your stake can also be increased a massive 7678 times worth on each tiger spin. Lower free spins offer higher value symbols which give out a larger cash prize, for example, 5 tiger symbols will pay out 150 coins whilst 5cobrass will only give you 60 coins. More Easy slot promotions are here, visit easyslots.com! 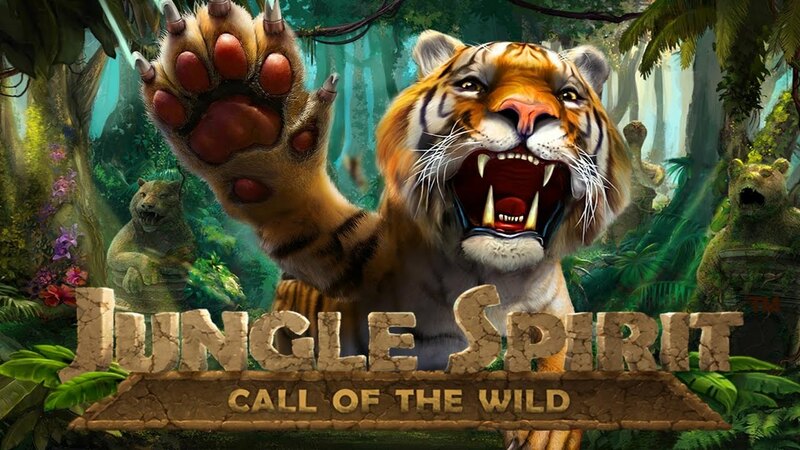 This jungle themed games offers superb graphics and a magnificent nature background making you feel part of the jungle, the colours and animations used really make the game great. It also gives you the chance to select which background music you’d like anything from beating drums to soothing sounds. This game offers a good win potential and the free spins are a great addition to the game. It is different to many other slot games NetEnt have recently released which is why it has become popular amongst gamers. NetEnt are on to a winner with this game as it has the correct balance of stimulation, fun and animation. 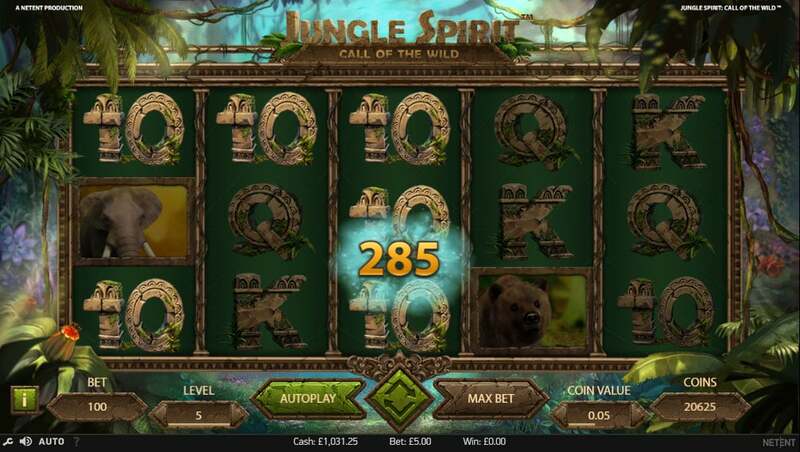 If you enjoyed Jungle Spirit Call of the Wild you might also like Wild Wild West online slot game.